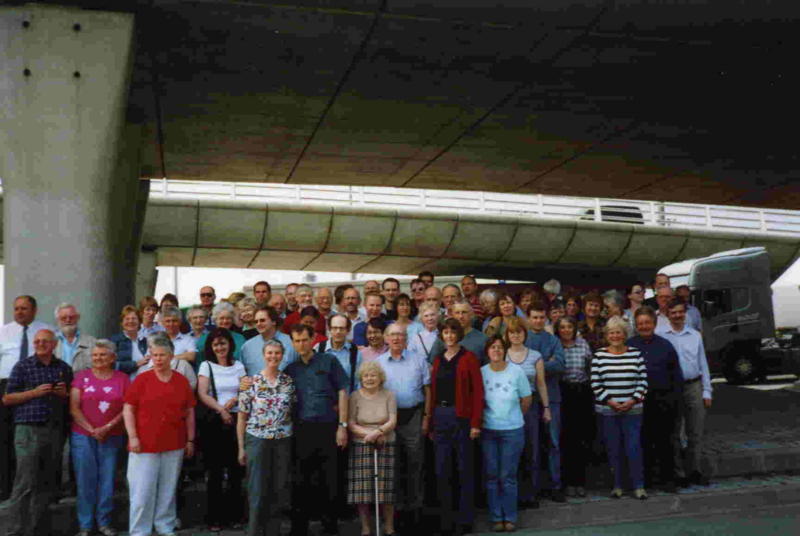 The Leicester Symphony Orchestra made its third overseas tour at the end of May 2004. The venue was Paris. Some 53 members of the orchestra went plus spouses / partners / friends. Travel was by two single deck coaches with large instruments (including the timpani) and luggage in the holds underneath. The hotel was an Ibis conveniently situated near the Eiffel Tower and was quiet and comfortable. Central Paris is very attractive with its uniform apartment blocks and tree lined roads. The tall office buildings are all confined to the La Defense area away from the centre. The two concerts went well. 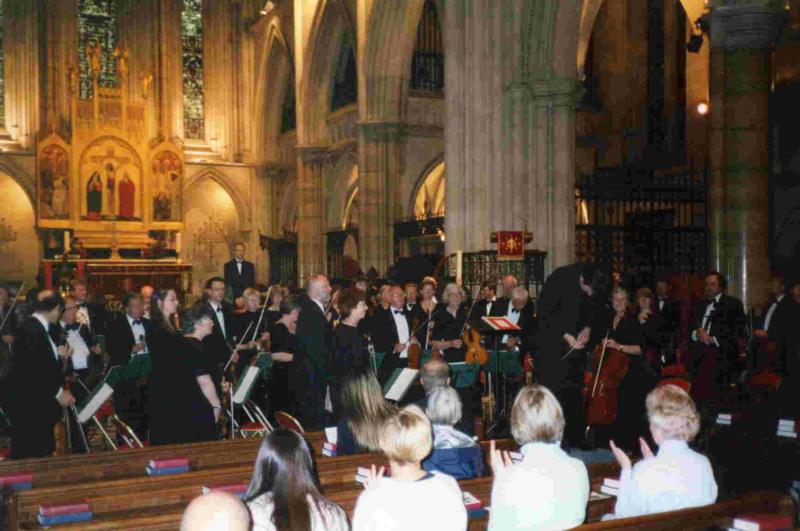 The programme was Mozart’s “Ave Verum Corpus” and Bruckner’s 4th Symphony. 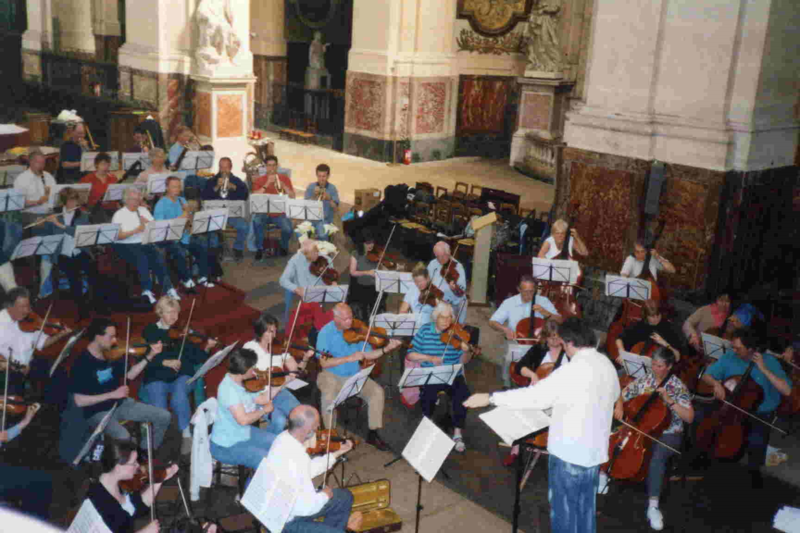 The concerts were performed in churches, the first in the impressive St Roch church near the Louvre, the second in the American Cathedral on one of the avenues off the Champs Elysee. The concerts were free and the first was full to standing room only! The retiring collection took £500. The American Cathedral was a more intimidating building (and it had 3 armed soldiers outside and a security guard vetting baggage) but a moderate audience turned up. Both audiences were very appreciative and sat silently throughout the Bruckner. On leaving the building several said the performance was magnificent. The resonant acoustic gave a tremendous sound. There were 3 optional excursions: a boat trip on the Seine in a Bateau Mouche, a day trip to the Chateau at Chantilly and nearby town of Senlis, and a day trip to Monet’s house and garden at Giverny. All were very popular and interesting. The enjoyable orchestra meal was held at a restaurant in Montmartre during which several short speeches were made including one by Martin Gilding, who was retiring from the position of first horn. The only hiccup on the whole tour was with the travel there and back. The coach itself was comfortable but clerical errors by the coach company led to us not being allowed on to our intended ferry both ways and having to wait for the next one – on the return journey this was in a secure compound! As usual on these occasions a lot was packed into the 5 days and with the early start and two late nights it took many of us a couple of days to recover! Thanks are due to all the organisers, especially Pat, Sam, John, Mac and Kirsten who made it all possible. I became a ‘groupie’ about two years ago. Until then, I could only stare in awe and wonder, first, from the cheapest seats in the body of the hall, and on later occasions as I graduated to a vantage point in the balcony. The thrill of seeing and hearing an orchestra was immense. A soloist (especially piano) added a special dimension. More than sixty years on, I can recall so many memorable performances of various orchestras and soloists, including our very own LSO. Moisewich, Eileen Joyce, Cifford Curzon, Sir Malclom Sargeant, Sir John Barbirolli and many other names denied to me by a fading memory. The musical highlights of the Paris trip were the two stirring performances of the Bruckner Symphony No. 4. Ten days before departing for France, the conductor, Nicholas Daniel, had delighted a sizeable Leicester audience with this mammoth work. Enthusiastic French audiences filled first, the Eglise St. Roch to overflowing, and later, La Cathedrale Americane, to hear the orchestra, led by the dedicated, concentrated, and demonstrably animated Nicholas Daniel, give two outstanding renditions of this inspiring symphony. The brass section features prominently in this work, giving the conductor the opportunity to display his full range of athleticism and control, as he demanded total commitment from them. None of the orchestra was spared his attention as he prodded, carressed and cajoled them into action. Not that they needed motivating since they have played so often under the baton of this very talented musician. I viewed the scene with the same feeling as always. I cogitated, I reflected, sometimes watching individuals, then sections and then through misty eyes, the whole of the orchestra. Those of us who have no special musical talent, save that of appreciation; what is it that we look for on each occasion? We need a conductor with a touch of showmanship, able to produce grand gestures with endless energy when required, switching instantly to gentle sensitive control. Nicholas Daniel has all of this and more. The orchestra, who at best, would expect to be called ‘a talented bunch of amateurs’, are much more than this. Their musical skills encroach heavily into the professional sphere, such that all of them could ‘give up their day job’. 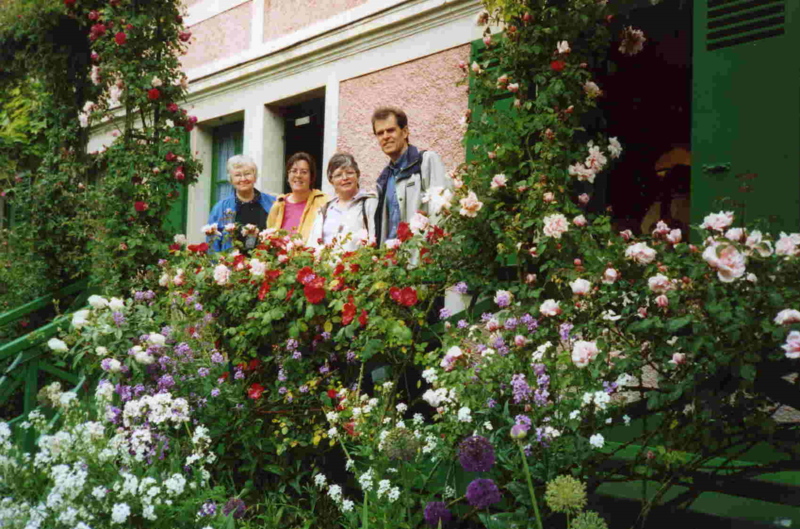 We ‘groupies’ were able to socialise with them during the trip, sharing many delightful hours as we cruised the Seine, viewed Monet’s Garden in Giverny and visited the beautiful chateau and gardens in Chantilly. They wore their denims, trainers, sandals, assorted hats, all in colours of the normal ordinary world but when they donned their formal wear and took to the musical platform they seemed to be magically, musically transformed. We like our musicians like that!